Whether you want a deep, dark island tan or a light gorgeous glow, ULTRATAN has the perfect solutions to help you meet your goals. Our large variety of cutting-edge indoor tanning systems range from advanced time-saving stand-up beds, quick high intensity bronzing beds to relaxing 20-minute beds. For an even full body and face tan, ULTRATAN has you covered. 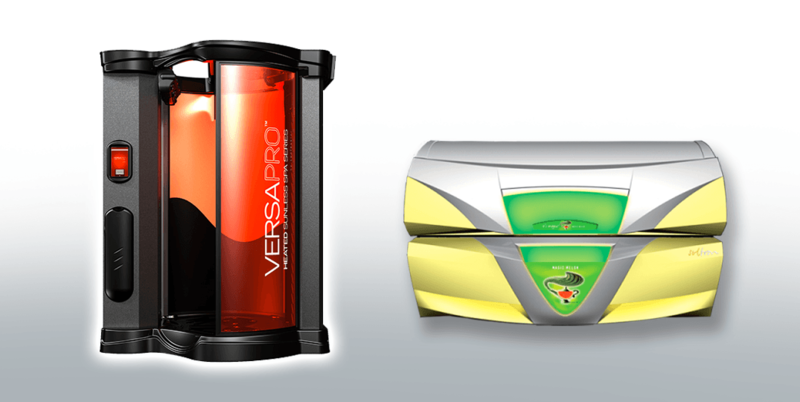 Achieve an all-around great tan in less time in our vertical tanning beds. 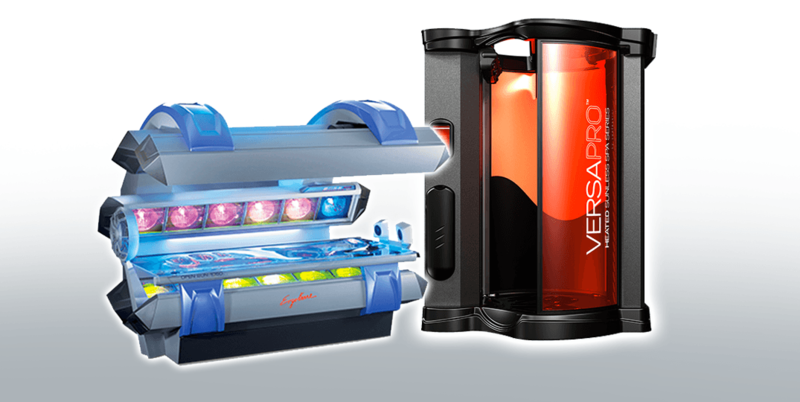 High-level horizontal tanning beds offer a wide array of instantly customizable features to help you achieve your perfect natural looking tan in a fraction of the time. ULTRATAN offers the latest and BEST in spray tanning equipment providing our customers the most comfortable heated environment and the most natural, even spray tan results. MYSTIC TAN and VERSA SPA perform over 10 million spray tans every year and utilize eco certified naturally plant derived color active ingredients. Spray solutions are paraben free, gluten free, cruelty free and non-comedogenic (won’t clog your pores). With sunless spray tanning you get natural looking results perfectly matched to your skin tone with just one visit. Step into one of our Mystic booths and experience the ultimate in sunless tanning. 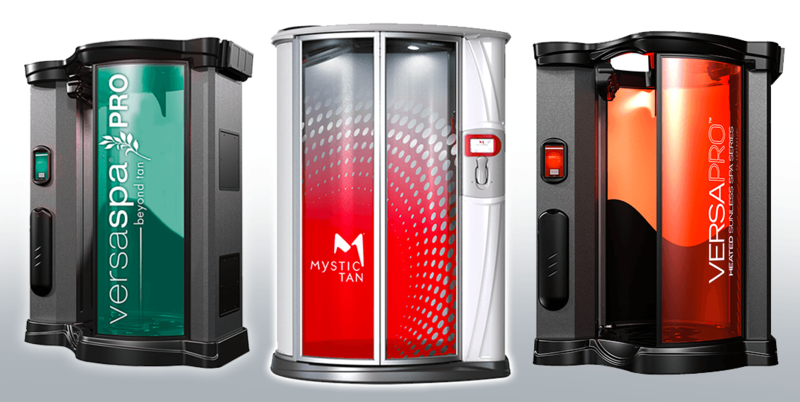 Mystic is the original sunless tanning system. *Equipment varies per location. A sunless spray tan is cosmetic only and does not provide protection from the sun’s rays.